Bicalutamide is a racemic mixture of a non-steroidal antiandrogenic activity predominantly (R) -enantiomer has no other endocrine activity. 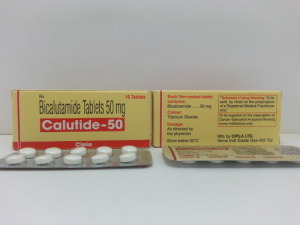 Bicalutamide binds to the androgen receptor, and without activating gene expression, inhibits the stimulatory effect of androgens. The result is a regression of prostate tumors.